Her name is Elizabeth, thank you very much. 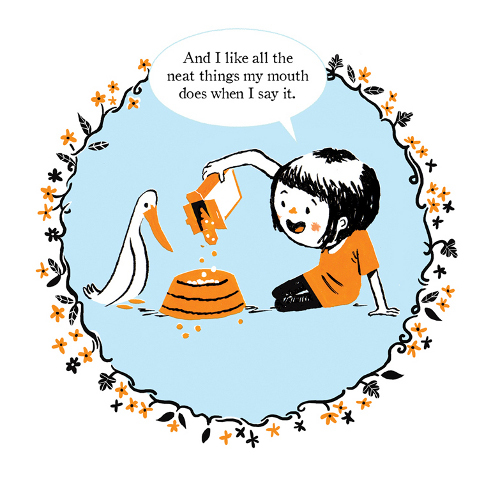 And Elizabeth is the star of a delightful new picture book from author Annika Dunklee (born in Sweden but now residing in Canada) and Canadian illustrator and comic book artist Matthew Forsythe. It’s called none other than My Name Is Elizabeth! 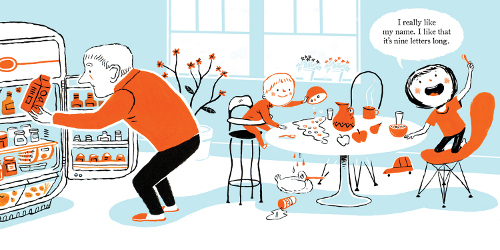 (Kids Can Press, September 2011), and Kirkus has called it “wonderful,” adding: “This…is close enough to perfect in its tone, pacing and interplay between words and pictures.” They’re right, you know. Oh, and “close to perfect” Pamela Paul called it in the New York Times in August. Not bad for the picture book debut from both author and illustrator. 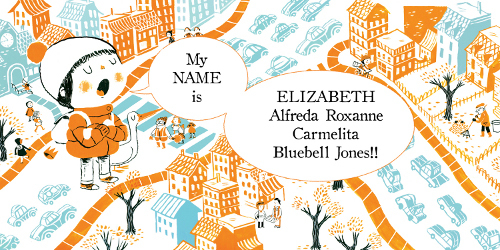 Elizabeth Alfreda Roxanne Carmelita Bluebell Jones really loves her first name. She likes that it is nine letters long. She likes all the neat things her mouth does when she says it. She likes that there is a queen named after her. “But I don’t like it when people call me names other than ELIZABETH.” Lizzy? Liz? Beth? Betsy? Stop it already. Please. (As the Kirkus reviewer also notes, she isn’t bratty in her requests. She’s polite, please and thank you very much.) She’d just love for you to call her by her beloved name. It’s really that simple. It’s Elizabeth, and she’d like you to stick to it. But I’ll let the art speak for itself here. Enjoy. Note: Matthew has contributed a comic to the recently-released Nursery Rhyme Comics from First Second Books, but I’ll have more on that wonderful collection this Friday. MY NAME IS ELIZABETH. Copyright © 2011 Annika Dunklee. 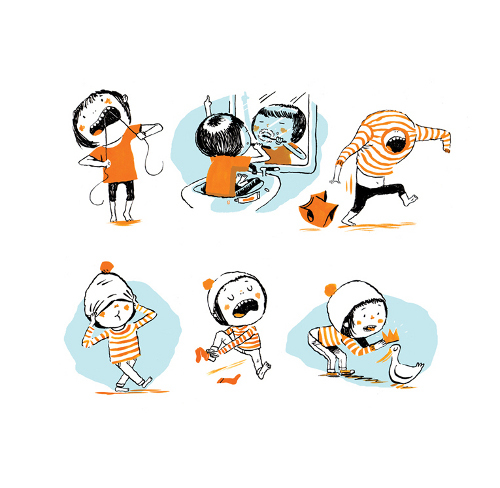 Illustrations © 2011 Matthew Forsythe. Reproduced by permission of the publisher, Kids Can Press, Tonawanda, New York. This one looks like a ton of fun — love that style. I pre-ordered this book earlier this fall in honor of my daughter’s birthday. 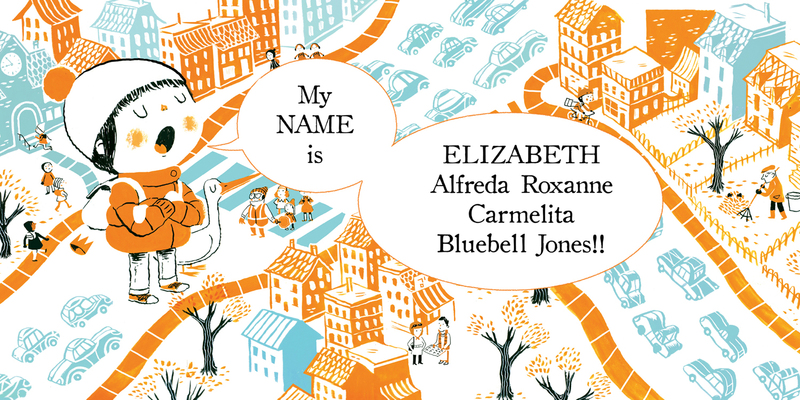 Her name happens to BE Elizabeth and she’s going to LOVE this book. It is a true gem–even if your name isn’t Elizabeth. I’ve only read it once and had to hide it away from myself so that it won’t look already-loved when she opens it in a few weeks :-). 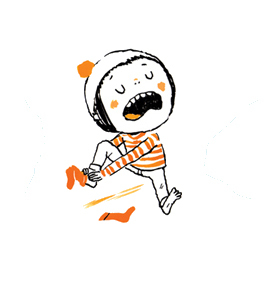 I love, love, love the illustrations. Ooh! First read about this one at Fuse8. Thanks for the reminder that I Need This Book. Woe, love the retro-coolness of the illustrations, and that cover is beyond awesome!